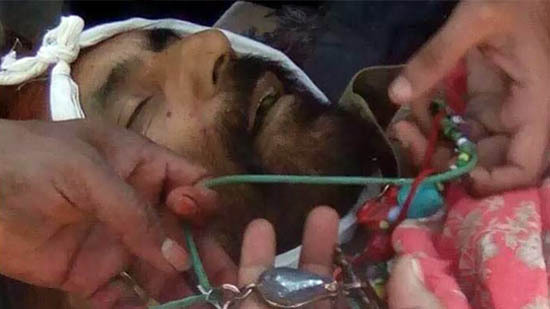 Notorious takfiri terrorists of ASWJ (Sipah-e-Sahaba) shot martyred another innocent Shia Muslim of Pakistan in Dera Ismail Khan in broad daylight. Motiullah, custodian of Mohallah Shaheen Imam Bargah was targeted in Shaheen Mohallah as the terrorists riding two motorbikes chased him and opened fire upon him. He fell and then again a terrorist fired more bullets at him. He embraced martyrdom on the spot. Motiullah was one of the complainants against the takfiri terrorists due to which the latter ambushed him. It was second targeted murder within a short span of time in Dera Ismail Khan. Earlier, Shia youth Hassan Ali was martyred.